Breguet Type XXI for the summer and normal everyday wear. Breguet Marine 3400BA for the winter and evening wear. Very nice pair of watches. Many times I have decided enough is enough and then......something has caught my eye and I’m back in the game. I expect you will be too. Regards Kev. Wow. I envy you your peace of mind! Great to see someone actually find their perfect collection. Now, how do I attain such Zen state of mind? You would make billions, that's certain. But that vintage Marine is wonderful. Congratulations on your choices and freedom, but there is always a price for freedom . Yes, it does feel great and above all I feel satisfied with closure. In future wherever and whenever I am looking at the time, it will be on one of my Breguet watches; one of, if not the finest and important Watch Houses. Thank you for all your kind comments, I wonder if this is how retirement feels? I truly hope one day you guys will join me. God bless you all. 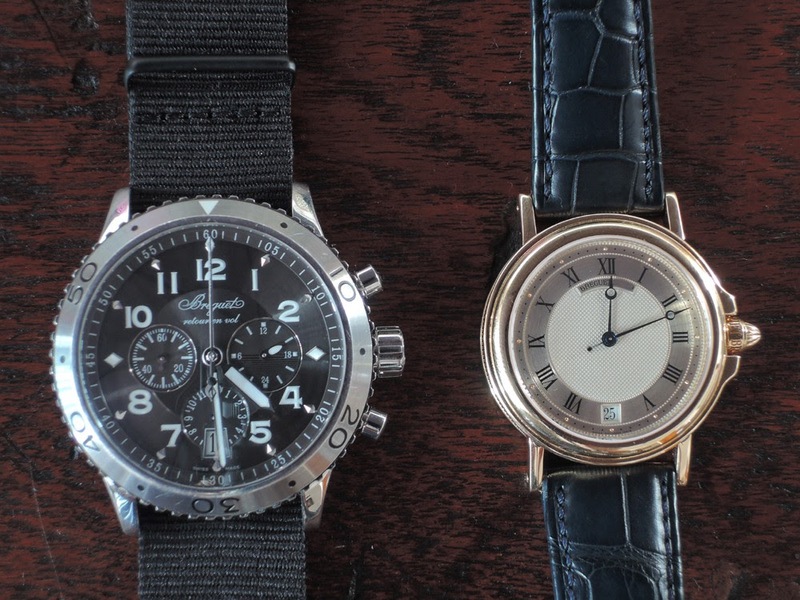 On top of my actual 2, I would have two more on my definite list actually, a Breguet 5907 and a geophysic true second. Then a Reverso moon phase for my romantic side and a pilot to be used as tool watch. Like you, I don't like so much number: 6 would do Best, É.